You are here: Home > FAQ > Cannabis oil: What is the best and healthiest way to produce cannabis oil? Cannabis oil: What is the best and healthiest way to produce cannabis oil? 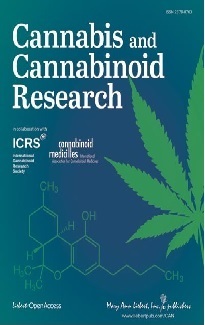 Concentrated cannabis extracts, also known as Cannabis oils because of their sticky and viscous appearance, are increasingly mentioned by self-medicating patients as a cure for cancer. In general, preparation methods for Cannabis oil are relatively simple and do not require particular instruments. The purpose of the extraction, often followed by a solvent evaporation step, is to make cannabinoids and other beneficial components such as terpenes available in a highly concentrated form. Cannabis oil is usually taken orally, by ingesting a small number of drops several times a day. Please find here some information on the question whether cannabis can cure cancer. How is Cannabis oil prepared? 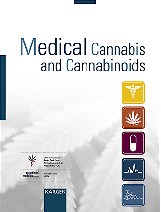 Various methods have been described for the preparation of Cannabis oil. The most popular method, as described by former (skin)cancer patient Rick Simpson from Canada, suggests the use of naphtha or petroleum ether as a solvent for the extraction. Following the success of Simpson oil, a number of related recipes have sprung up, emphasizing small but significant changes to the original recipe. Examples include focusing on safer solvents such as ethanol, or preventing exposure to organic solvents altogether, by using olive oil. What is naphtha or petroleum-ether? In general, petroleum-ether and naphtha refer to very similar products, even though different names may be used around the world; e.g. in some countries naphtha is equivalent to diesel or kerosene fuel. Both solvents are a mixture of petroleum hydrocarbons (PHCs), often available in a wide range of qualities. All the solvent components should be considered harmful and flammable, and some of them, such as hexane and benzene, may be neurotoxic. Both naphtha and petroleum-ether are considered potential cancer hazards according to their manufacturers. Moreover, products sold as naphtha may contain added impurities (e.g. Coleman® fuel) which may have harmful properties of their own. Are residual solvents a health risk? Although Cannabis oils are usually concentrated by evaporating the solvents that were used for extraction, this does not completely eliminate residual solvents. As a result of sample viscosity, the more concentrated an extract becomes, the more difficult it will be to remove the residual solvent from it. In such a case, applying more heat will increase solvent evaporation, but simultaneously more beneficial components (such as cannabinoids or terpenes) may be lost as well. The use of non-toxic solvents should therefore always be advised, so that potential residues are not harmful to health. What is the best and healthiest way to prepare Cannabis oil? As extraction solvents, ethanol and olive oil were shown to perform the best, extracting the full range of terpenes and cannabinoids present in cannabis plant material very efficiently. Additionally these solvents are safe for consumption. Unfortunately, pure ethanol also extracts large amounts of chlorophyll from cannabis material, which will give the final extract a distinct green, and often unpleasant, taste. Removing chlorophyll by filtering the ethanol extract over activated charcoal was found to be effective, but it also removed a large proportion of cannabinoids and terpenes, and is therefore not advised. Additionally, in many countries consumption-grade ethanol is an expensive solvent, as a result of added tax on alcohol products. Of the solvents tested, this leaves olive oil as the most optimal choice for preparation of cannabis oil for self-medication. Olive oil is cheap, not flammable or toxic, and the oil needs to be heated up only to 100°C (by placing a glass jar containing the product in boiling water for 1-2 hours) so no overheating of the oil can occur. After cooling down and filtering the oil it is immediately ready for consumption. As a trade-off, however, olive oil extract cannot be concentrated by evaporation, which means patients will need to consume a larger volume of it in order to get the same therapeutic results. Preheating of cannabis to ‘activate’ (decarboxylate) the cannabinoids may result in loss of terpenes as a result of evaporation. If the full range of terpenes is desired in the final Cannabis oil, dried buds and leaves can be used directly for extraction, without preheating. Dr Arno Hazekamp is a phytochemical researcher at the Department of Plant Metabolomics of Leiden University, The Netherlands. He also coordinates the R&D program at Bedrocan BV.